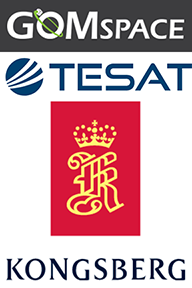 TESAT, KSAT and GomSpace have partnered to introduce full optical communications capability for new and innovative smallsat missions and space-based services. Until now, this technology has mainly been used on large and expensive satellites but is now further developed, miniaturized and ready for use on smallsats and new constellations. The new technology will be launched in the PIXL demonstration mission later in 2019. Image is courtesy of GomSpace. To ensure a successful and accelerated market introduction of the technology, the partners have put all their competences together to demonstrate - by end of this year - that optical downlinks are ready to be used as operational downlink technology for smallsats. 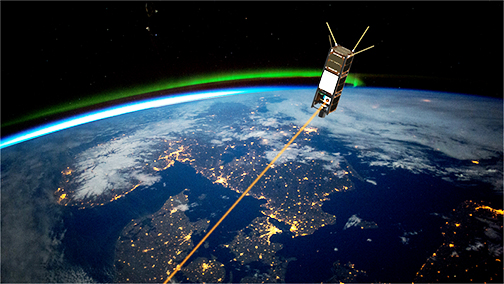 TESAT has successfully miniaturized the technology to allow its efficient use on satellites down to 3 kg. and with data rates from 100 Mbps to 10 Gbps. KSAT, a leading ground station network provider for new space customers through its KSATLite offering, is committed to building out a compatible network of optical ground stations and scaling it with increasing customer demand. GomSpace has – in collaboration with TESAT – validated compatibility and integration between GomSpace satellite busses and TESAT’s miniaturized optical terminals. 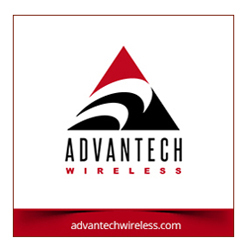 The partners are looking forward to a future where optical communication will be used for satellite downlinks and inter-satellite links and will become a standard.